Show off your personality, Never-ending variety, Small touches for different looks. We pride ourselves on decorating our homes with many different elements, some visible and some not. But we often overlook the importance of subtle features, which can impact your interiors hugely. One of those value-adding factors is the humble cushion; soft fluffy pillows that come in a variety of shape, sizes, and colors. Cushions are an easy yet effective way to renovate your home on a budget! They can add feel, texture, and mood to the interior and you can change them depending on the season, occasion, or for just about any reason. Because it’s easy on your pocket, cushions are also the best feature to play around with in your home. They are also a great way to showcase your personality. Solid, simple, neutral-coloured cushion covers emphasize your simplicity, whereas quirky prints and colourful stripes show off your playful personality. Which kid wouldn’t like to sleep with their favourite cushion? And what about a black and white printed cushion to go with your monochrome walls? 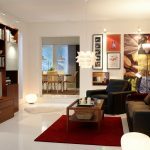 Adding a personal touch to your interiors can lift up the whole look and feel of the room. Cushions can be positioned, color-coordinated and used in endless ways, to achieve different results. Placing cushions a certain way can enhance the settings, and add-ons can make a huge difference. While it’s easy to clutter up a room with overdone decoration, cushions can actually help in de-cluttering or neutralizing the ambiance with the right colors and placements. 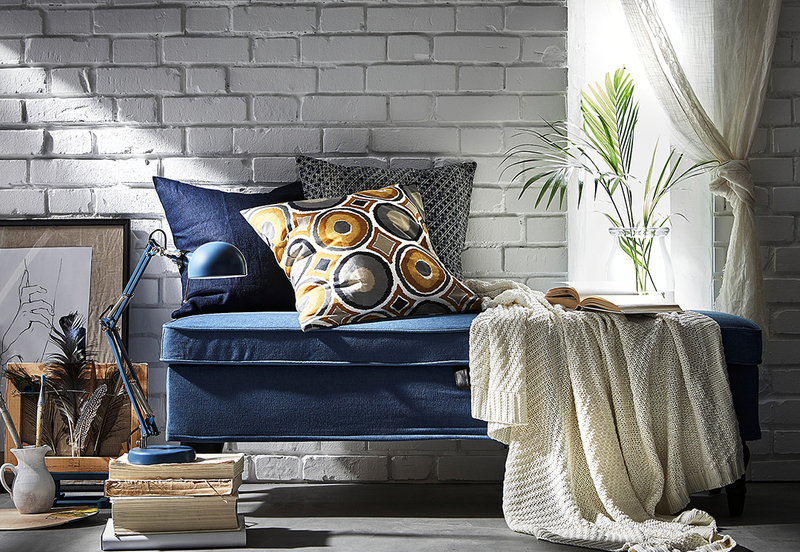 We often use them only with sofas and limit them to living areas but it’s good to remember that cushions can be used in multiple ways: with chairs, on the bed, on lounge furniture – even on the floor. The key to attaining the perfect look lies in how you set up the cushions. For a modern look, use three cushions, two of the same size and a smaller one with geometric prints or solid color to add contrast. For a traditional look, go for an even number of square or round cushions in small and medium sizes with classic solid colors in velvet or cotton. For a boho look, mix and match the color palette with prints, mainly using the general color tones of green, mauve, blue and yellow. So, go ahead and play with cushions to decorate and spice up your home, knowing that you’ll be adding that extra bit of panache while still guaranteeing comfort. ⟵ Which Lamp Does Your Home Need? Want to know how to get your home décor is so good that you wouldn’t want to leave it? A part of us stays at home as it is so inspiring and beautiful. Whether it is wonderfully decorated bathroom where you can take a hot shower or the warm bed with a cosy quilt; it is hard for us to get away from them. 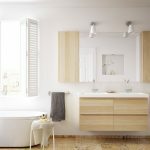 Such inspirations are used by IKEA to make your bedroom and bathroom more elegant. Read about to make your house more of your Home here!